Eating Disorders Research Papers discuss a preview of an order placed on a literature review of the disorder anorexia nervosa. 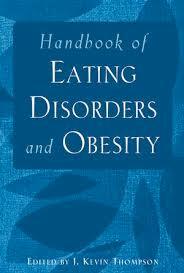 writing a short literature review on the eating disorder, ANOREXIA. The review should be approximately 8-10 pages in length, typed, double spaced, using a 12 point font with one-inch margins. The review will be evaluated on clarity of presentation, inclusion of relevant material from class, completeness in coverage, grasp of relevant issues, and use of references to support the main ideas presented in your paper. The quality of writing will also be assessed as part of your grade. You must have at least 7 sources for your reference list. These sources must include scholarly work published in: journals, books, chapters, or proceedings. Popular magazines and/or newspapers DO NOT count as scholarly sources. Be sure to include AT LEAST 4 references from a professional journal, such as Child Development, Developmental Psychology, or Journal of Experimental Child Psychology. DO NOT use web sites as a reference. Cite your sources using the American Psychological Association format. Remember to list the full reference on a separate sheet at the end of the paper. Anorexia Nervosa commonly known by only anorexia is a serious eating disorder. People who are anorexic will have a distorted body image. These people believe that they are ‘fat’ and will therefore, restrict calories or exercise excessively even when in reality many are dangerously underweight. This is a very dangerous disorder because it leads to malnutrition and have very serious affects on the physical body. These effects can even result in death from starvation or other related issues. People who have this disorder present with a number of different psychological as well as physical symptoms. There are many different behaviors that doctors look for when diagnosing the disease. Doctors look for signs that are both psychological and physical. The patient usually has a fear of obesity even though they are slim. They present with an unrealistic body image of being obese and the weight loss that is experienced is 25% lower than the norm without physical signs that would explain either the image or the weight loss . Many of these women get so thin that their body changes and they experience amenorrhea or loss of the menstrual cycle without being pregnant. Bulimia Nervosa Research Papers - point out that Bulimia Nervosa usually affects young women and is characterized by periodically consuming large amounts of food. Mental illness examine the behavioral patterns that cause suffering and an inability to function in ordinary life. Mental Illness and the Brain Research Papers - research the malfunctions in the brain. Over eaters Anonymous Research Papers- look at how 12 Step programs are used for those who need to diet and loose weight. Addiction Counseling Research Papers - look into counseling as an important component and essential part in overcoming addictions such as drug addition. Causes of Obesity of Children Research Papers - delve into how to order a research paper on obesity including the physical, social, and psychological aspects. Paper Masters writes custom research papers on Eating Disorders and discuss a preview of an order placed on a literature review of the disorder anorexia nervosa.